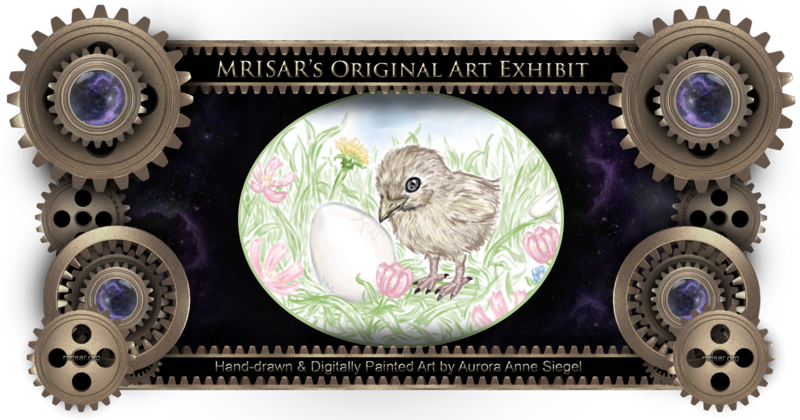 This is an Original Hand-drawn and Digitally Painted Art piece by Aurora Anne Siegel, an awarded, published and exhibited; multi-disciplined artist, photographer, writer and engineer. She is also a member of MRISAR's R&D Team. She has been creating quality art since she was a preschooler. Her favorite art subject is anthropomorphic animals and insects, set in surreal environments. She drew this piece in 2017. Prints of this piece can be any size, but are 24" x 36" for our interactive version.